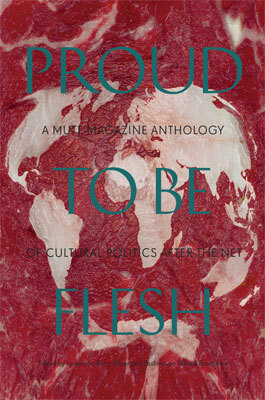 In 2009 the editorial team at Mute (in association with Autonomedia) published a collection of past magazine content under the title Proud to be Flesh: A Mute Magazine Anthology of Cultural Politics after the Net. It was an exercise in content curation, but not, as they point out, an attempt to assemble a greatest hits album. Rather, it reorganises a body of Mute’s diverse output around a selection of themes that are perhaps more apparent (up to) fifteen years later. 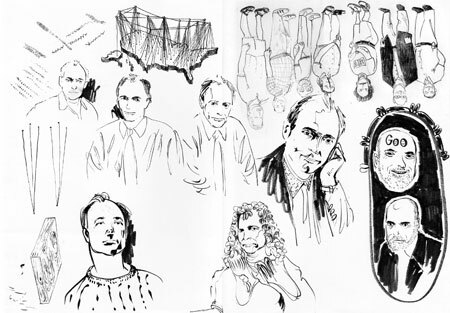 In many respects - through the early newspapers, magazines, websites and recent print-on-demand journals - Mute has long engaged in providing content navigation systems for internet-inspired knowledge and the darker side thereof. And they have been doing so in an era defined by its obsession with charting and re-charting the information landscape. What Proud to be Flesh does, therefore, is offer up yet another entry portal to Mute’s rich and important net-knowledge while, in its very book-i-ness, commenting on the current upheaval in text interface products. It is therefore no surprise to discover a chapter of the book entitled: ‘I, Cyborg: Reinventing the Human’ - or that this topic is handled well, here, by the likes of Irina Aristarkova, Maria Fernandez and Suhail Malik, for example. The strongest criticism one could make, given that this, in so many ways, is a landmark publication (which should be standard issue at the very least on all digital art and design courses), is that it might actually be several books disguised as one. Value for money notwithstanding, the breadth of Mute’s canvas is a little overwhelming and I wonder if it is almost too diverse - to live life as a book that is. But certainly, this makes it a meaty reference tome for jogging your cultural memory or installing one in the first place. And of particular benefit to newcomers are Berry Slater’s introductions to each chapter which outline some of the constituent ideas, not to mention her short account of the history of the magazine, which puts the book’s content in some much needed context. He then swiftly encounters Marc Augé, pseudo-ambient art and the ‘oxymoronic politics’ of Naomi Klein’s No Logo, all in the same essay (and one can’t help feel his notion of ‘ambicommerce’ comes very close to identifying the late ‘00s culture of ambient credit). It’s a media theory mash-up, with a side of Marxism, and as such is the very essence of Mute. It is this historical aspect that is defining of the book as a whole. There is a warp and weft to each chapter as the themes cut one way, while the chronological organization of content cuts the other, each time giving a mini-history of Mute’s editorial evolution. The book truly conveys the critical fabric woven of intense ideas in an era of intense ITC innovation. 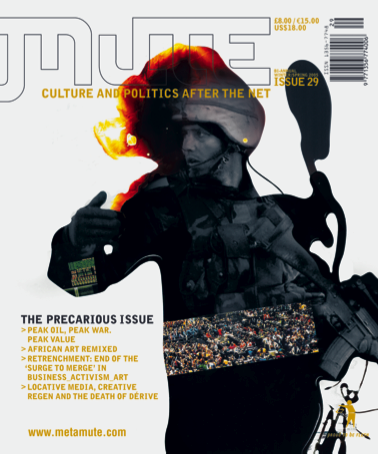 Thus, quite apart from reorganizing and reiterating the central debates that have signified Mute’s theoretical contribution, what this book does by way of representing a view of Mute’s archive and/or the last fifteen years of ‘cultural politics after the net’, is remind us of its own multifarious form-taking. And there’s a great note of the synecdoche about that. Charlotte Frost is an arts writer/academic focusing on New Media/Digital arts. She writes the monthly news section: ‘Digital Practices’, for a-n magazine, while currently developing video content for their website, and co-presenting a weekly radio show: Furtherfield.org on Resonance FM. In February 2010 her book chapter ‘Internet Art History 2.0’ was published in Revisualising Visual Culture, edited by Chris Bailey and Hazel Gardiner (Ashgate Press), and she gave a paper addressing web tools and their thematic contributions to art historical discourse at the Association of Art Historian’s Annual Conference (Glasgow). She also recently launched PhD2Published a website providing academic book publishing advice to first timers.